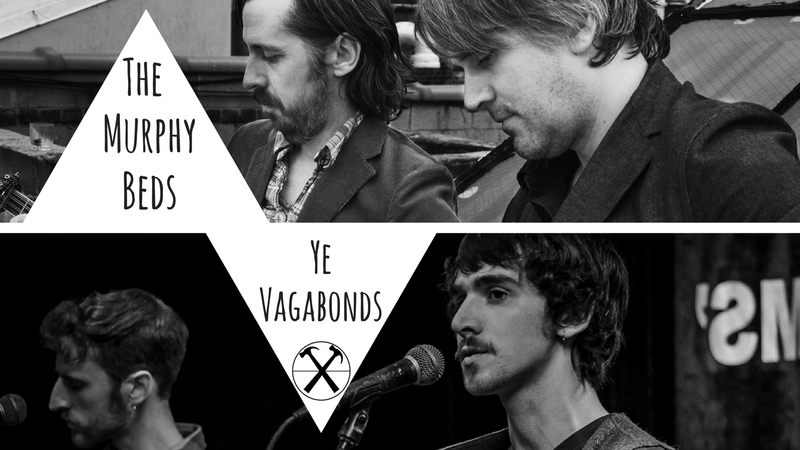 The Murphy Beds & Ye Vagabonds will be sharing the stage in Connolly’s on Wednesday May 9th. The Murphy Beds present traditional and original folk songs with close harmonies and deft instrumental arrangements on bouzouki, guitar, and mandolin. They have toured and collaborated with artists across the folk spectrum including Beth Orton, Bonnie ‘Prince’ Billy,Anais Mitchell, and Sam Amidon. written and recorded with Anais Mitchell. Buoyed by the success of their debut EP Rose & Briar in 2015, and continuing support from respected musicians like Lisa Hannigan, Roy Harper and Glen Hansard; brothers Brían and Diarmuid Mac Gloinn, who form Ye Vagabonds, have released their highly anticipated debut album, on their own label: Inglenook Records. The album was recorded by Nick Rayner between The Meadow recording studios in Wicklow, and Rayner’s studio in West Cork.